What is Parquet Block Bamboo Flooring? This entry was posted on October 3, 2018 by chris elliott. Parquet block bamboo flooring is a small block of flooring that has been specifically designed so that you can create beautiful geometric patterns. The blocks of flooring are shorter than usual flooring planks. Furthermore, they are versatile and immediately add charisma and charm to any style of home. The most popular patterns to create are herringbone, basket weave and brick bond. All of our parquet block bamboo flooring can be used with underfloor heating and is environmentally friendly with FSC 100% certification. How is parquet block bamboo flooring made? First of all, all of our parquet block bamboo floors are made using strand woven bamboo. The process of making strand woven bamboo provides you with strong and durable flooring, which is over twice as hard as Oak flooring. The raw bamboo is shredded into fibres and compressed together to create a solid block of bamboo. This is then shaped into blocks of flooring and the tongue and groove fitting profile is added. Finally, the parquet blocks are finished with layers of anti-slip lacquer. This will give your parquet block bamboo added protection from daily wear and tear. How is strand woven bamboo flooring made? What are the benefits of strand woven bamboo flooring? Is parquet block bamboo flooring the right choice for me? First of all, you will be getting a stunning and statement floor. 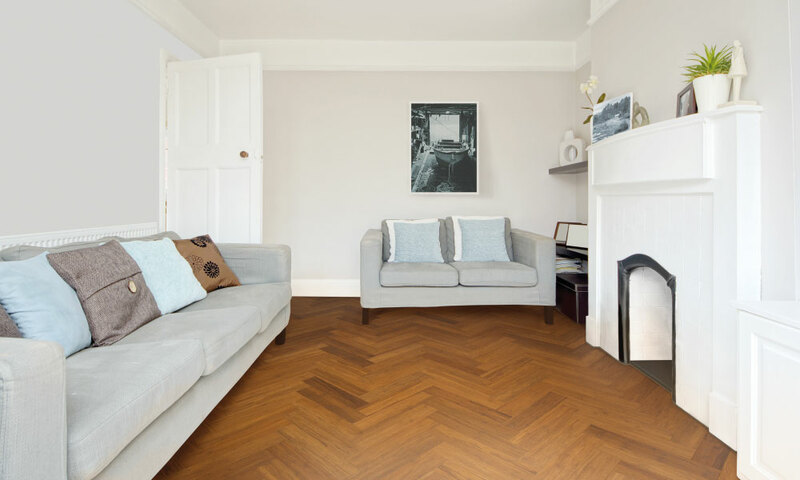 The parquet blocks are extremely durable and hardwearing – over twice as hard as Oak flooring. Bamboo is a natural and eco-friendly product. Our parquet block bamboo flooring is FSC 100% so you can rest assured you are buying a sustainable product. There are different colours for you to choose from. Natural or Carbonised. You have the choice of crating different patterns: herringbone, basket weave or brick bond. 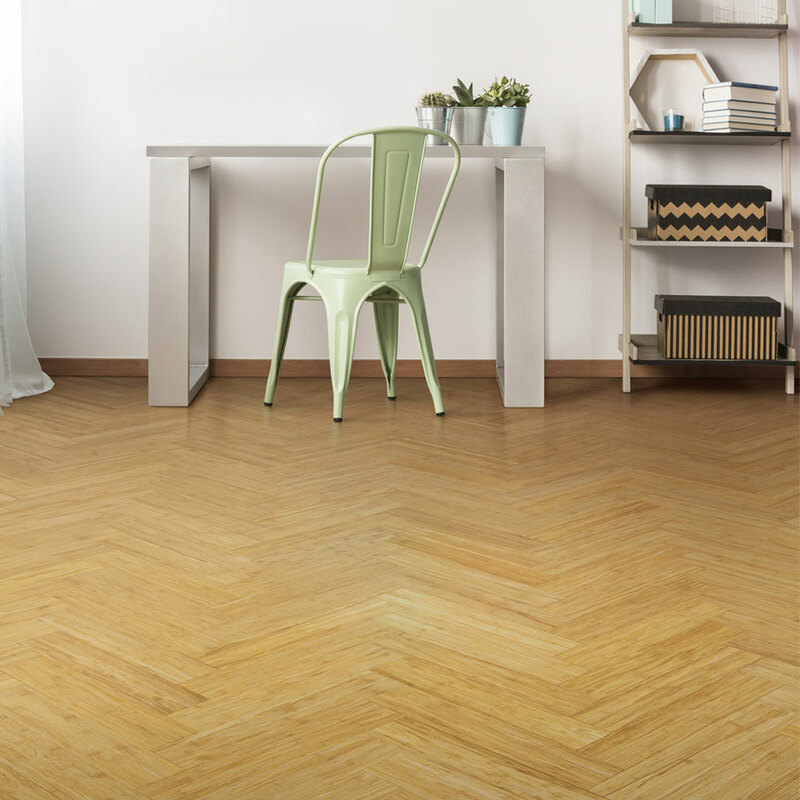 Also, you can use the parquet block bamboo in almost any room in your home (except rooms with excess water). Furthermore, it is compatible with underfloor heating. There are matching bamboo flooring accessories to add the finishing to your room. We have everything you will need, from skirting boards to pipe covers and door bars. Finally, you will find it really easy to clean and look after. If you want more tips about cleaning your bamboo floor, read our Bamboo Floor Care Guide.